The Filipinos who studied in Europe after the opening of the Suez Canal came from different regions in the Philippines.Â Most of these Filipinos were Christians and studied in Spain.Â However, there were some who studied in the Netherlands like the Boholano Jesus VaÃ±o who studied in Spain and Belgium. When the Propaganda Period in Europe was started, the Filipinos know that back home they came from different regions with different languages.Â They were united only in their desire to be independent from Spain. The basic organizational concept was federalism based on regional language and culture or ethno linguistics. Even though the Muslim areas were not represented in the Propaganda Period, there was still some wishful thinking that the Moros will join in the independence movement.Â It would be easy for them to join because the concept was federalism. To form an independent government based on language and culture was easy to determine because the Spaniards were careful to maintain the different distinctions in language and culture. The First Philippines Republic headed by President Emilio Aguinaldo did not have a firm control all over the Philippines.Â In order to have a semblance of unity, there was kind of federalism from different organized governments in the different regions. We have no way of knowing if the nascent federalism would have been successful because the Americans defeated the First Philippines Republic and the Philippines was made as a colony of the Americans. The Americans immediately tried to make a centralized form of government for the areas that they have purchased from Spain.Â Â The Christianized provinces and regions were relatively easy to administer but the so-called â€œnon-Christian areasâ€ were difficult. The Americans created the so-called â€œOffice of the non-Christian Tribesâ€ and allowed them to have representatives in the national legislative body. The underlying objective of the Americans was to convert the Filipinos into â€œbrown Americansâ€ that they call as the Manifest Destiny.Â Through the educational system introduced by the Americans, which until now is still used, the regionalism and federalism concept of the Filipinos faded after one hundred (100) years. In 1902 the Americans introduced an educational system using English as the medium of instruction in school.Â However, the different Christian religions used the regional languages in church worship.Â The Muslims used Arabic and their regional languages.Â The religions caused the regions to hold on to their language and traditions. After a lapse of one hundred years, when the regional languages have begun to fade, the Philippines government reversed its course by introducing the MTB-MLE (Mother Tongue Based â€“ Multilingual Education).Â The mother language of the pupil is the language of instruction from Kindergarten to Grade 3 and it is the â€œBridge Languageâ€ from Grade 4 to High School. The Philippines has many languages but as of now the DepEd has considered the following languages as the major regional languages: 1.) Ilocano language in Northern Luzon.Â 2.) PanggalatÃ³k or Pangasinan language in the province of Pangasinan and environs.Â 3.) Kapampangan or Pampango language in the province of Pampanga and environs.Â 4.) Tagalog language in the Tagalog regions.Â 5.) Bicolano language in the Bicol regions.Â 6.) Hiligaynon or Ilonggo language in the Western Visayas.Â 7.) SinugboanÃ³n in the Central Visayas Region.Â 8.) Waray-waray language in the Eastern Visayas.Â 9.) Maranaw language in Central Mindanao.Â 10.) Maguindanao language in Southern Mindanao.Â 11.) Tausug language in the Sulu Archipelago.Â 12.) Chavacano language of Zamboanga City, Kawit Cavite City, and Legaspi City in Bicol. 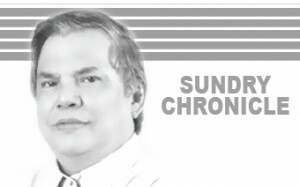 If we will use the above 12 major languages in the Philippines as the bases for the regional states for federalism, it is not balanced and viable. The Pangasinan and Pampango languages are not large enough in terms of population compared to the other regions. In the Bangsa Moro area, there are many languages including the â€œLumadsâ€ or Indigenous people that are not Christians or Muslims. The Chavacano language is a pidgin Spanish language that is spoken in three places very far from each other.Â These places cannot be combined as a State. If we will consider all Tagalog speaking regions as one State or all SugboÃ¡non speaking regions as one state, they will be disproportionately larger than the other regions. It is very obvious that we cannot subdivide the Philippines into different States based on ethno-linguistic criteria.Â The resulting States will be uneven.Â Some will be too small and others will be too big. The 1987 Philippines Constitution provides that the National Language of the Philippines is Filipino and as it evolves English will serve as the Official Language.Â The different Regional Languages will serve as auxiliary languages in the respective regions.